5 Tips for Selling Your OC Home! Home » South Orange County » 5 Tips for Selling Your OC Home! At The Marquis Group, we understand that many of our clients are interested in living in Orange County because of the amazing lifestyle it provides. Needless to say, we promote that lifestyle when we are selling one of our gorgeous Orange County homes. Cheryl, a knowledgeable Orange County real estate agent with over 25 years of experience, is a big believer in a balanced, healthy lifestyle and loves taking advantage of all that Orange County, specifically South Orange County, has to offer! 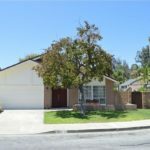 If you are considering selling your Orange County home make sure that your home’s listing description thoroughly details and promotes the many pluses of living in Orange County, especially those that are unique to your community. With home prices on the rise in Orange County, many families are considering renting. Therefore, it is extra important to promote your single family home as a unique, must-have property! 1. Features apartments don’t have. Again, with many Orange County families considering renting, it’s time to highlight the features your home has that most apartments do not! For example, if your home is a great first home, think of all the perks to owning a home that you were excited about. This includes walk-in closets, custom kitchen and bathroom features, additional storage spaces, attached garages, and private outdoor living. ocean views and walkability to shops and dining. safe neighborhood and great school district. an HOA that manages communal outdoor space — and your own private outdoor space. 3. Features that make up for property drawbacks. So your Orange County home isn’t perfect. That’s okay. The key is to promote the exisiting “yes, but” features your home offers. So you don’t have the biggest lot size, but you are at the end of the cul-de-sac with additional privacy. Or maybe your kitchen isn’t brand-new, but your backyard has a swimming pool and is every kids dream. The right Orange County realtor will help you give an honest and flattering description of your home! 4. Custom features with broad appeal. If you have customized your home, no matter how small the detail, let your Orange County realtor know so it can be highlighted! Custom add-ons and features that are added to a property generally have much more appeal to buyers than you might realize and might deserve inclusion in the listing’s description! We say ‘might’ because if your additions are too quirky, they will likely not appeal to the average buyer. The key is to get the numbers in the front door to view the property, where they can then check out your one-of-a-kind custom feature. Customized closet and garage organizers, built-in desks, remodeled laundry room with new appliances, an over-the-stove-pot-filling faucet, etc.. are definitely the kinds of features that you want to make sure your Orange County realtor is promoting! 5. OC lifestyle activities nearby. If you live on or near a golf course, the beach, or other Orange County attraction, let potential buyers know! Hopefully, you have found these tips for selling your Orange County home helpful! Cheryl has learned a lot throughout her years in the real estate business, including what does and does not sell an OC home!